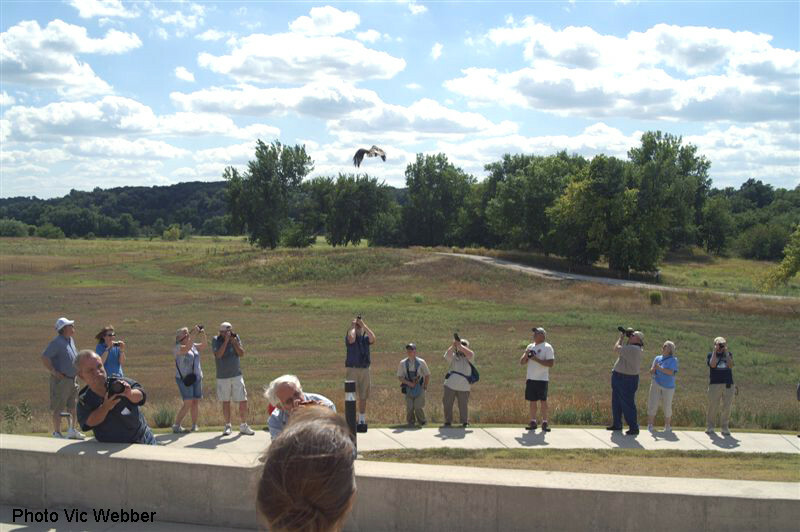 Two hatch-year male kestrels, two hatch-year red-tailed hawks, and one hatch-year bald eagle were released! 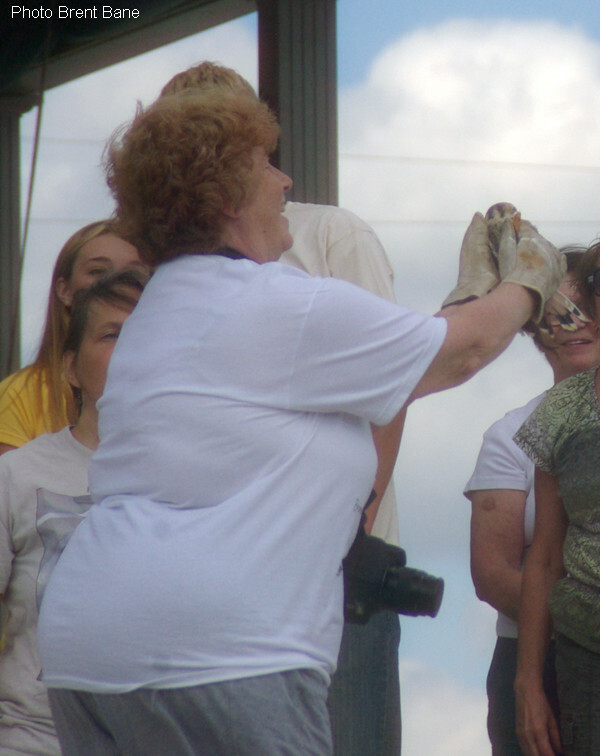 Kay tells "Jasper's" story to the attendees. 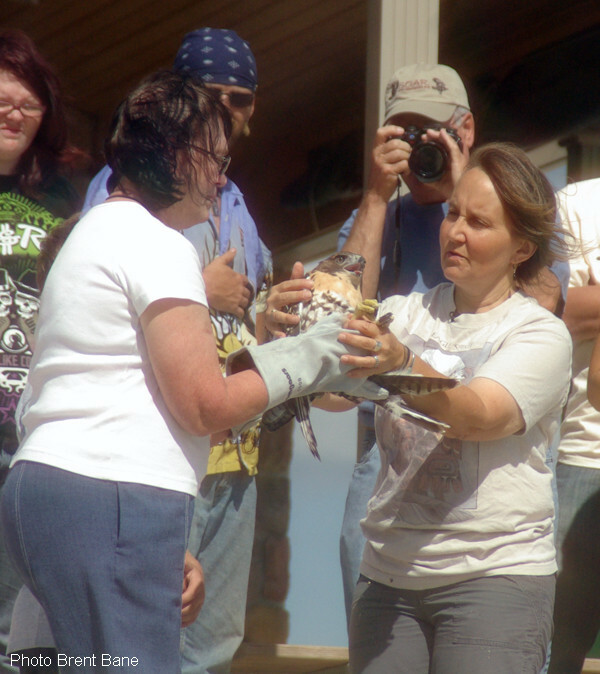 Kay hands off "Jasper" to John Mertz for the release. 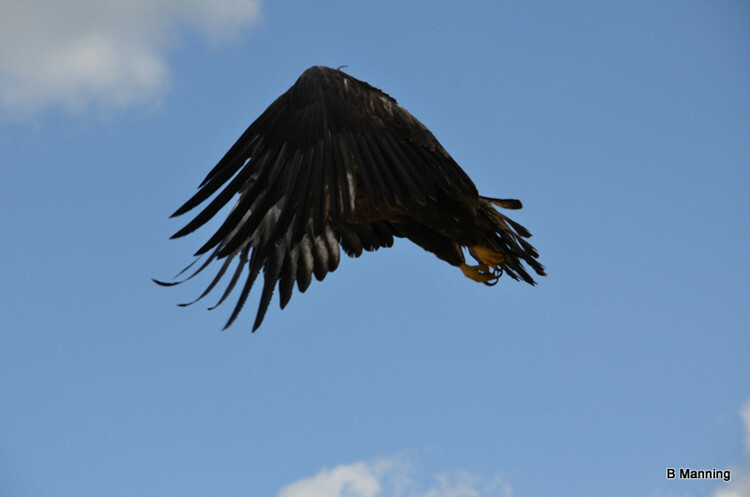 Inset photo of "Jasper" and sibling in nest at about 5 weeks. 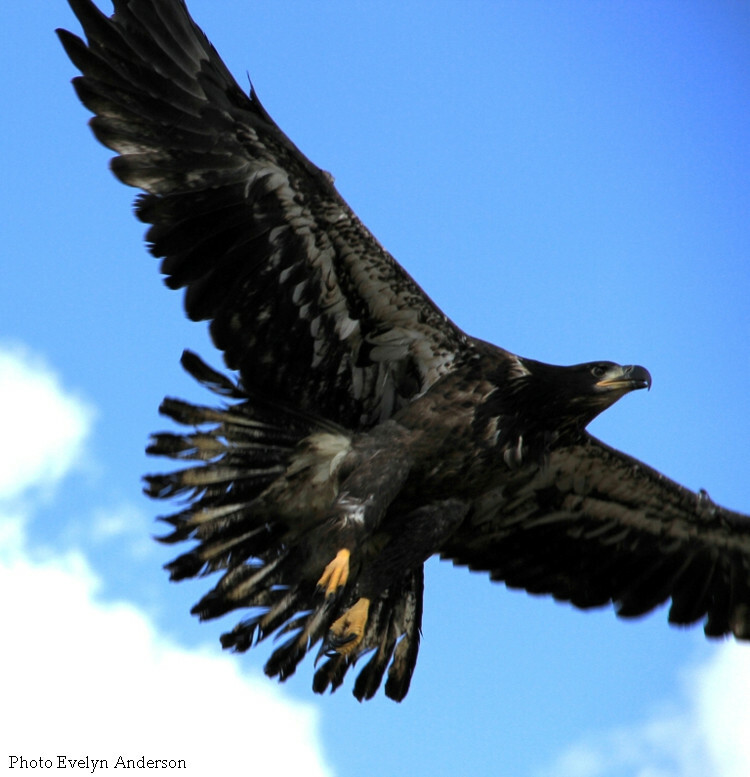 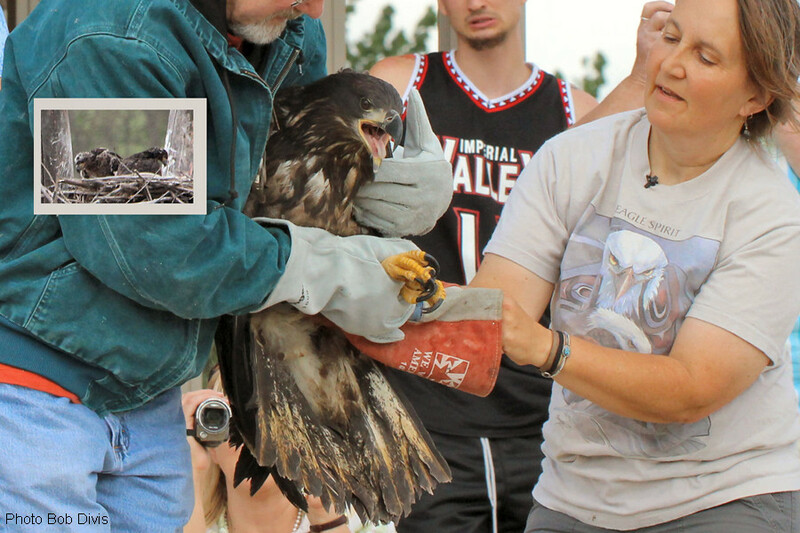 This was closure for John Mertz who has rescued many, many raptors, but has released none. 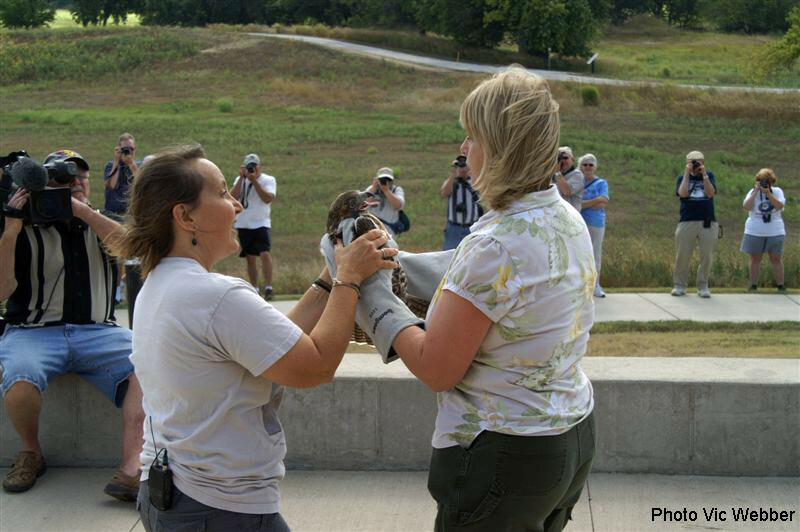 He rescued. 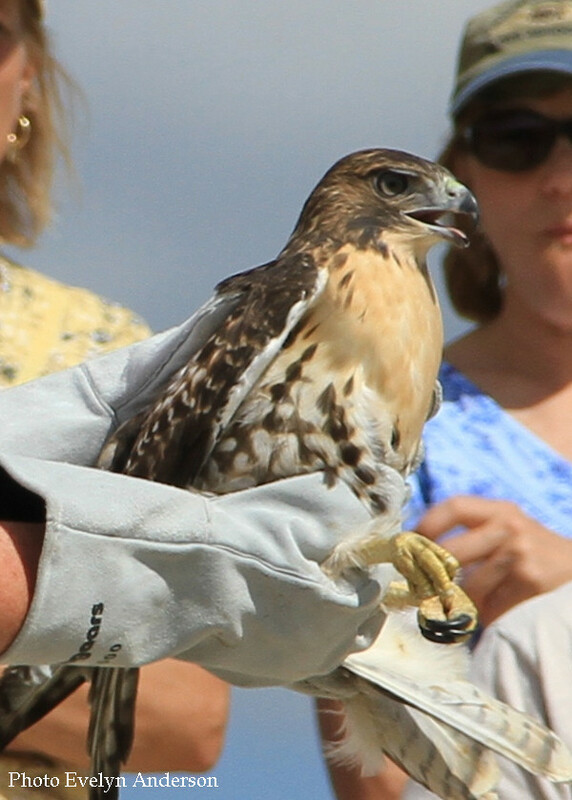 He released. 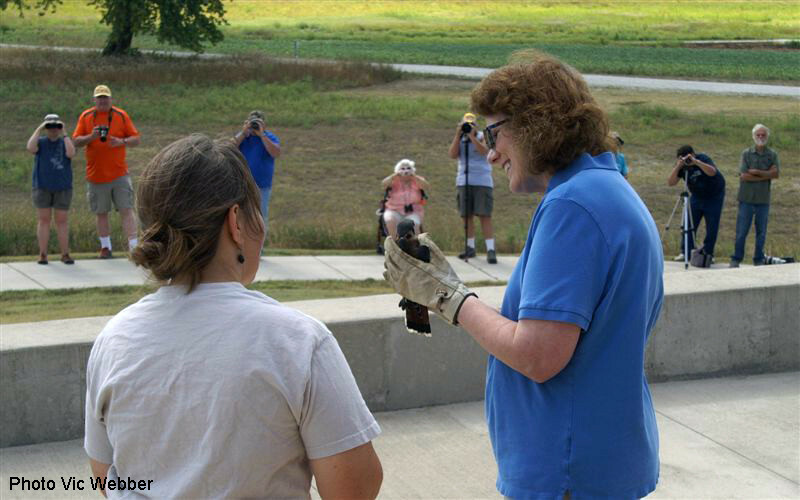 Dorrine getting final instructions before releasing this juvenile red-tailed hawk. 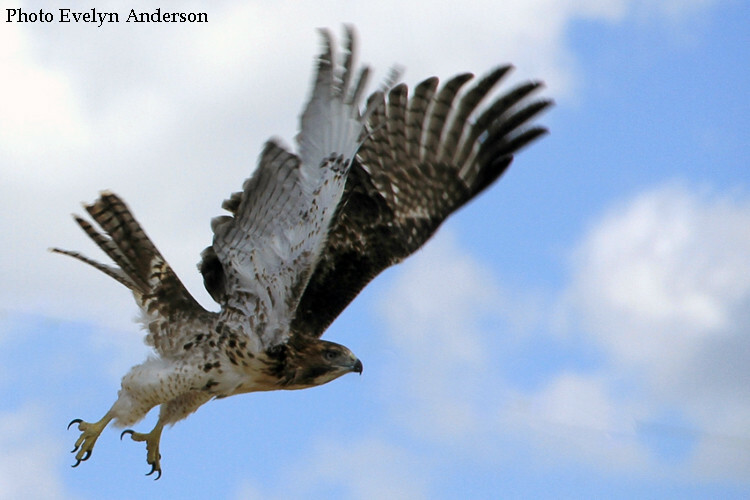 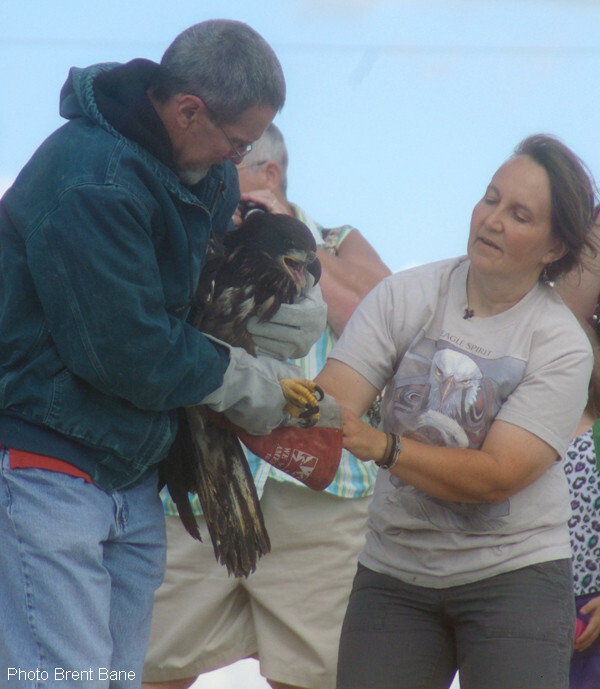 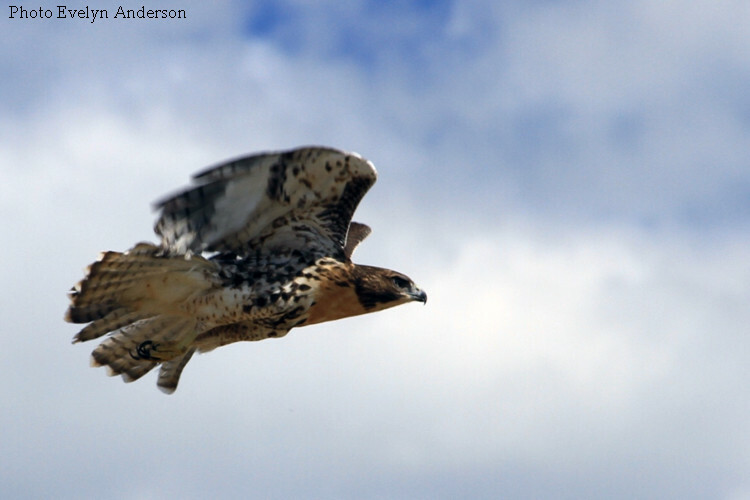 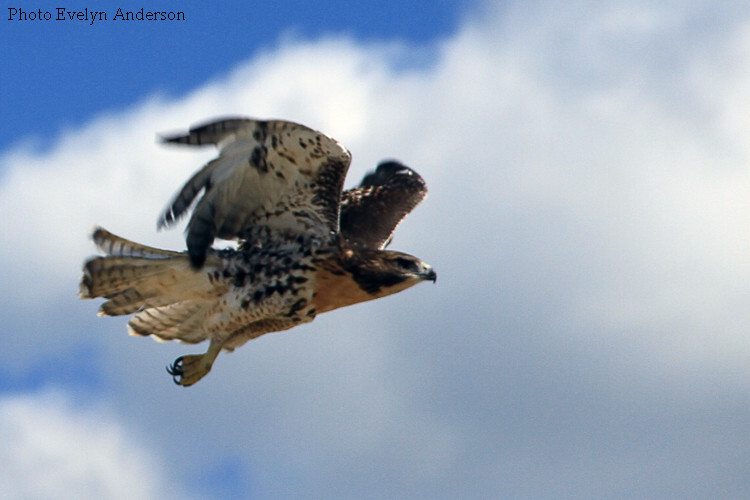 Both red-tailed hawks released were from the Boone, IA area. 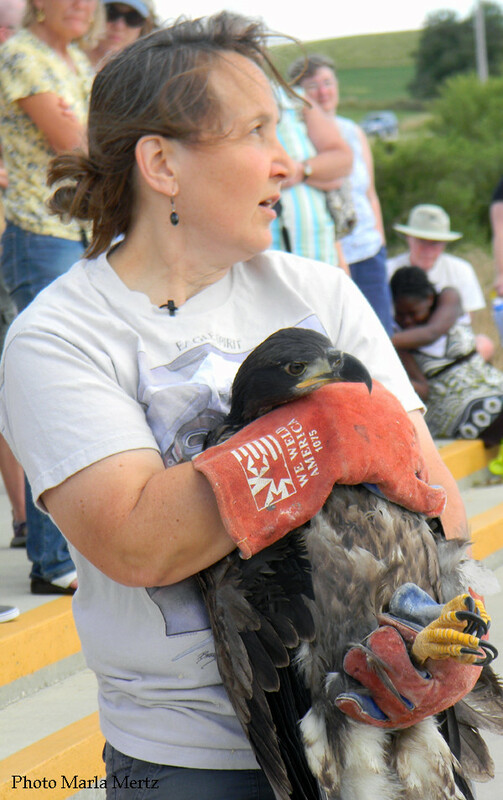 Both were rescued within days of each other after a storm blew them from their nest. 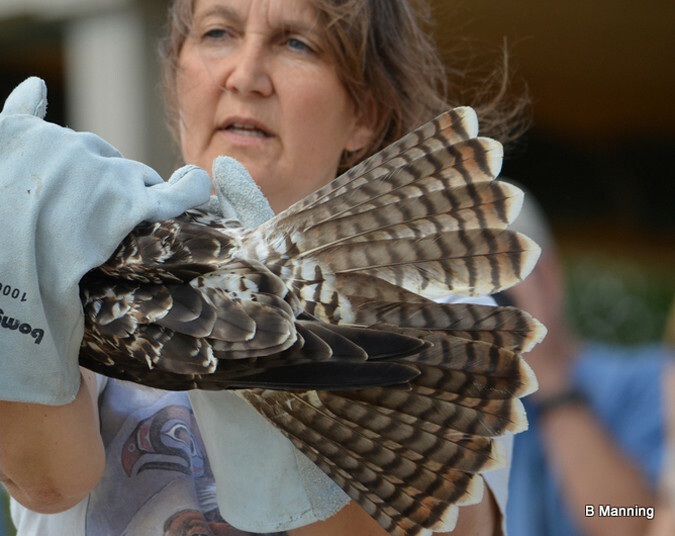 Kay is just about to take her hands away so that Karen can release this juvenile red-tail. 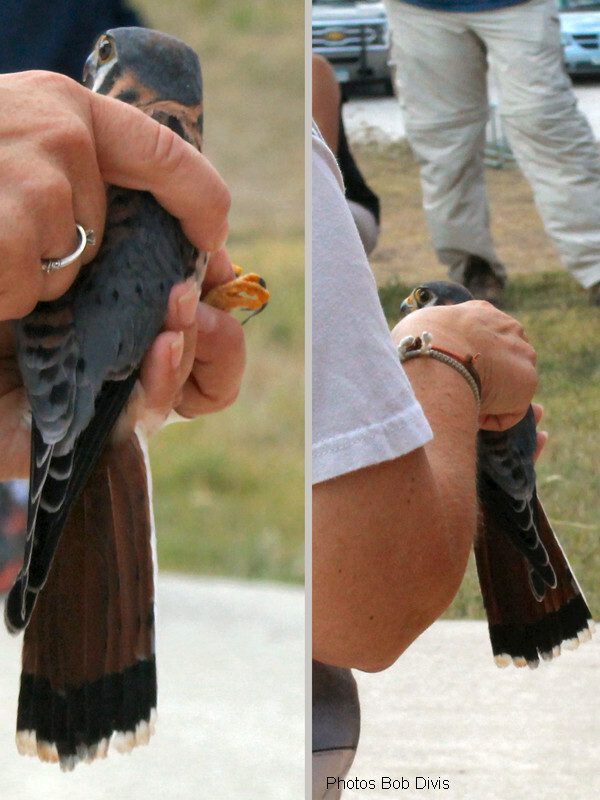 Juvenile male kestrel before release. 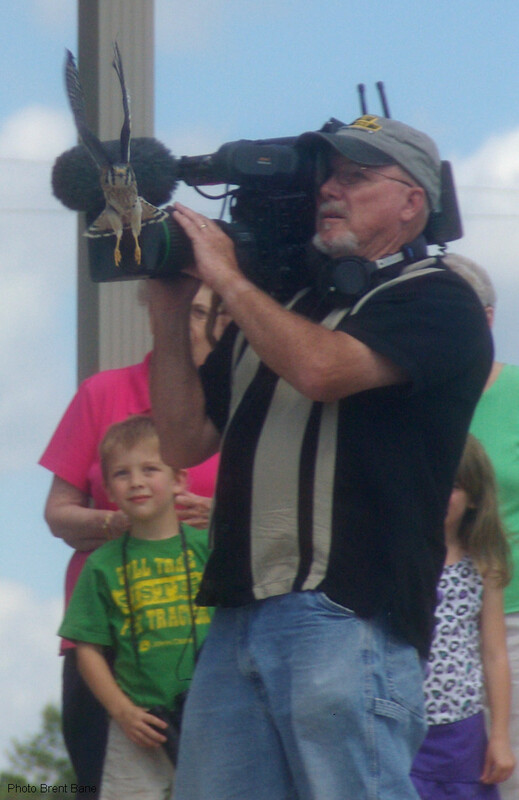 Chris with IPTV "may" have gotten this release on camera? 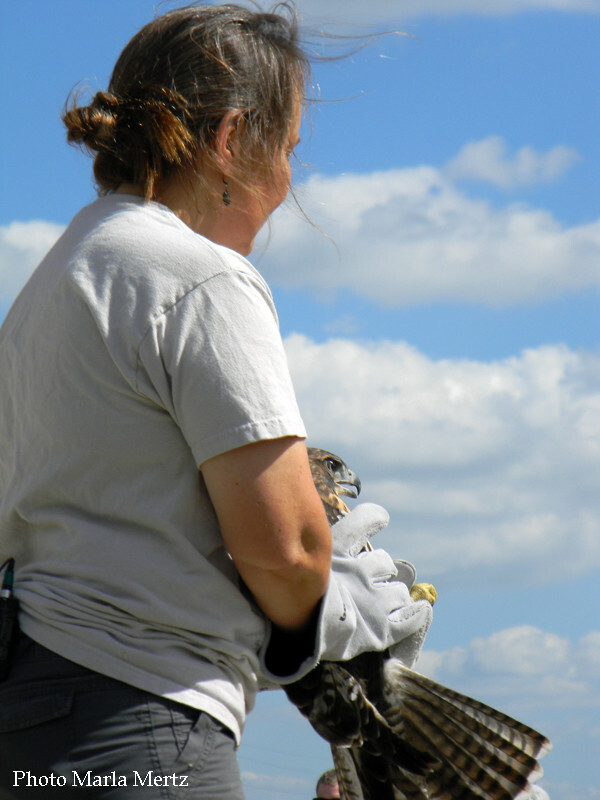 Debe is ready to release a male hatch-year kestrel! 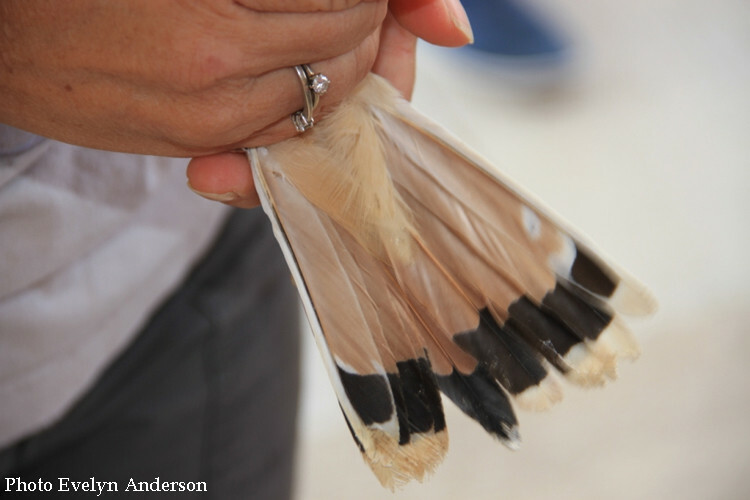 A good look at a male kestrel's tail feathers. 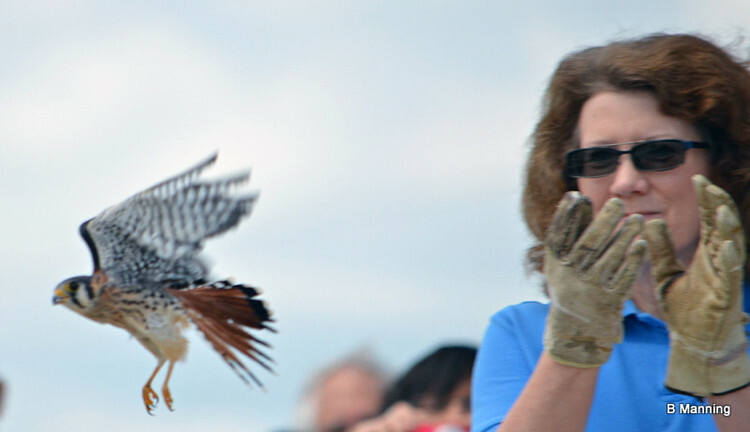 Phyllis is holding the other hatch-year male kestrel... but not for long... this guy left before most photogs were ready!